"I hate REALTOR.com." That was pretty much the response in the comments from FSBOs on Realtor.com. I’m so glad Jay found that and wrote about it. Eric Blackwell over at Bloodhoundblog wrote about it too. I think Michael Wurzer’s response is spot on but that Michael was way too polite. Let me go on record publicly as directly calling out ForSaleByOwner.com owners and executives as liars. Blatant and knowing liars. I understand that as a Realtor I am not supposed to utter an unkind word about a fellow Realtor (which they are). So I encourage anyone who owns or works at FailuresByOwnerSales.com to file whatever complaint they can against me. Just so there is no misunderstanding: You are lying in your press release. You know that and therefore you are a liar. You do not have FSBO listings on Realtor.com. All listings on Realtor.com come directly and only from MLS feeds. Listings can not be "added" to Realtor.com any other way. Again, they only get there from an MLS feed. Please hate Realtor.com for the right reasons. The stupid and misleading press release from Eric Mangan, of ForSaleByOwner.com isn’t one of them. Realtor.com did nothing wrong here. They aren’t "guilty" of anything in this instance. It is not unusual to see venom spewed regarding Realtor.com. 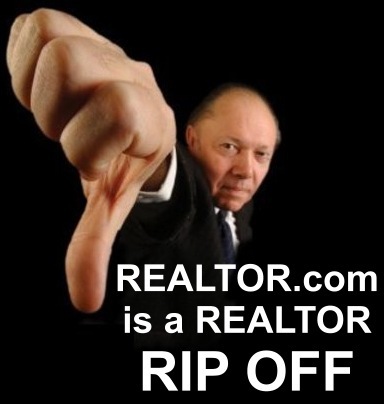 Realtor.com in its present incarnation is a massive betrayal of all working Realtors. What is ours has been given to an outside company so they can charge us as much as the traffic will bear. They get to use our name (Realtor.com) to drive traffic to the site so we get to pay MOVE.com huge amounts to "enhance our own listings". Almost every agent who pays the outrageous prices does so for just one reason and one reason only: to be able to tell sellers their listings are "enhanced" on Realtor.com. There is no other reason. 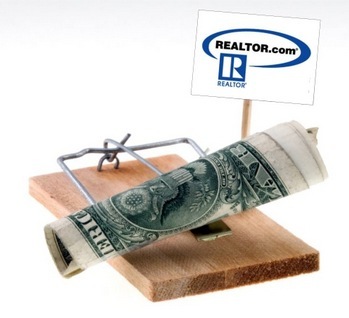 NAR has wound up setting up a situation where we are being taken advantage of when their original goal was to help us. I just renewed for next year. 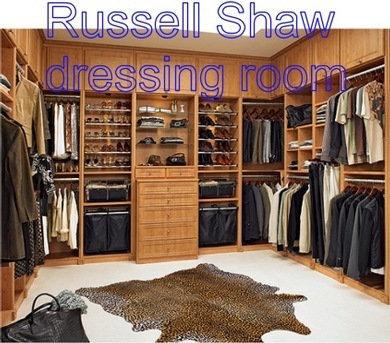 I can add virtual tours and unlimited photos, along with scrolling text to all of my listings (which would all be there anyway). The cost? $3,659.00 for the year. What a deal. Why did I do it? It is easier to pay it than to play defense, telling my sellers why we are not there. No other reason. None. None, really. From The Notorious R.O. 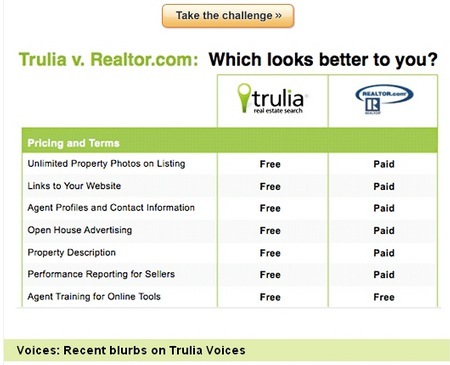 B., here is a very interesting idea of how NAR could take Realtor.com back. Totally worth reading. 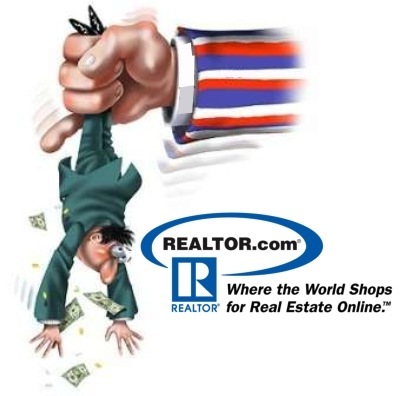 Here is the NAR takes back Realtor.com links page. Please check it out. It seems to me that if a REALTOR wants to "attack NAR" they might also think it was a good idea to take an axe to their own head if they had a headache. We are the NAR. When I hear statements to the effect that all NAR has ever really come up with is the MLS, I wonder why those same people don’t find it odd that jewelry stores only sell jewelry. Or grocery stores seem fixated on food. BMW just with the nice cars. I think that agents who don’t have a thankful attitude towards the (very) nice people who run NAR and sit on all the endless committees are ungrateful. If it wasn’t for the work of a tremendous number of people you don’t know you wouldn’t even have a real estate career. The MLS that we have and enjoy is one of the most valuable assets our industry has and we have it thanks to the National Association of REALTORS. Countless lawyers, government busy bodies and other destructive types have done everything in their power to attempt to take it away and ruin it. Thanks to the NAR we have it. If there is really something you think "NAR should fix" and they aren’t doing it quite as fast as you would like the answer is simple: get on a committee. The people that have are not only intelligent, have the wonderful quality of wanting to see others do well and (this one is very important) also play well with others. That last one alone disqualifies most of the self appointed experts on what everyone else ought to be doing. Even when it comes to REALTOR.com no one here is making a demand. NAR has the goal and purpose:"to help its members become more profitable and successful." Any intelligent analysis confirms that REALTOR.com has not and does not accomplish that. But that doesn’t make NAR "wrong". At the time it was set up the people who voted to set it up in it’s present form thought it would be great. That beautiful building we have in Washington, D.C. was paid for with stock from Homestore. Anybody who was factually guilty of wrongdoing (at Homestore, now MOVE, is long gone). So your hindsight and mine is 20 – 20. So is theirs. The foresight part is where we sometimes make mistakes. It seemed like a good idea at the time. Is there anyone reading this (over the age of 25) who can’t look back and see something they would have done differently? It is the future that matters not recriminations about the past. NAR is going to totally reclaim REALTOR.com. I know this is going to happen because I am not going to stop writing about it until it they do. Every working REALTOR in the United States will eventually know about this and every person taking a seat on any committee at the state level on up will know about it too. They will do the right thing. One of the best written articles on this subject is from Jonathan Washburn, one of the founders of Active Rain. I also have created a Reclaim REALTOR.com links page. Please check it out. I don’t know how many posts there will be in this series but I will continue to post them until I find out. I want NAR to completely reclaim Realtor.com. I want them to take it away from MOVE (formerly Homestore). I want everything about Realtor.com to be a member service included with our dues – just like realtor.ca is for Canadian Realtors. 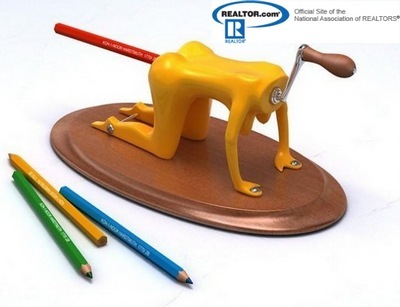 My Realtor.com pencil sharpener graphic above is pretty much how most Realtors who are involved with selling real estate tend to see Realtor.com. Is there anything about Zillow you don’t like? How about Trulia? Anything you don’t like about Trulia? There are perhaps a hundred (a thousand?) other me-too sites that I won’t even mention. Let me tell you who to thank. Thank the early to mid 90’s NAR Board of Directors. If it wasn’t for them and the decisions they made Zillow, Trulia, etc., etc., etc. would not exist. Oh, I know, the internet changed everything, blah blah blah. How do I know? Simple. Look again at the Canadian version of "Realtor.com". Then, check around Canada and notice how Zillow, Trulia and any other home valuation, MLS search (fill in whatever adjective you like) aren’t there. Not there. Why? Canada has homes. Canada has homes for sale. People buy and sell homes in Canada. Canadians want to know what their homes are worth. Why aren’t any of those companies in Canada? Realtor.ca is the answer. I understand that the decisions made by the NAR about Realtor.com a decade ago seemed like a good idea at the time. It is easy to now find fault with those decisions – that isn’t my point. I am not accusing them of doing the wrong thing then. I am asking them to do the right thing now. 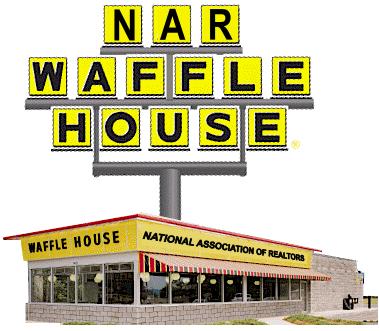 You are currently browsing the archives for the NAR Reclaims Realtor.com category.